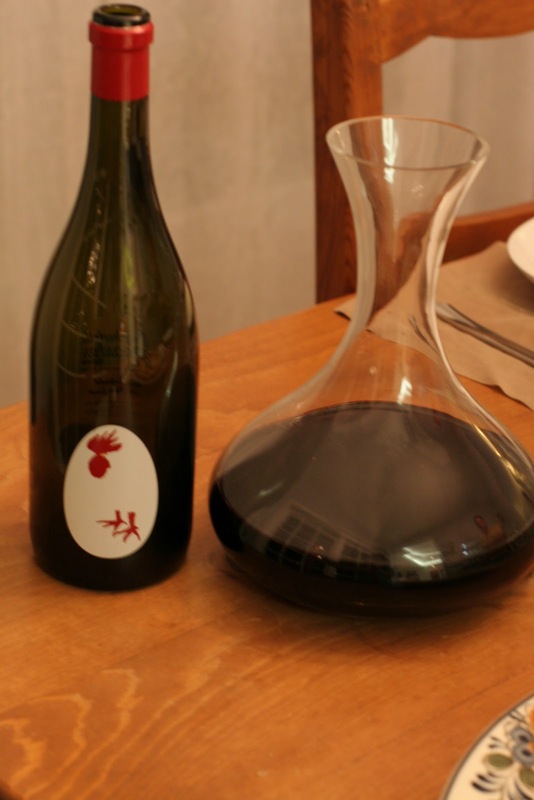 We recently had some friends over for dinner so we'd have an excuse to open up some wine that we received as a present. Our friend Jesse's parents, who live in Boston, were kind enough to send us some T-Vine Psychedelic Rooser Zinfandel-Petite-Sirah, so we invited Jesse to come and share it with us. What goes well with such big, bold red? Beef! 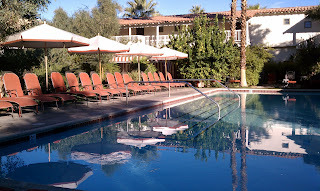 I'm finally posting about the mini-vacation J and I took to Palm Springs last month. It was only my second time in the desert town, and I have to admit I wasn't the biggest fan before this last trip. My sister and I decided to make our maiden voyage to Palm Springs last August, and although I was aware that it gets really hot I wasn't prepared for the blistering desert heat. Don't know what I'm talking about? Preheat your oven to 500, wait 30 minutes, then open the door and stick your head in it. There- you've just experienced Palm Springs in summer. Awesome, right? NOT! Last weekend we had the pleasure of having our nephew, Jake, come and stay with us for one night. He's a freshman in college and asked J if he had a bass guitar he could borrow, so I jumped at the chance to reduce our number of basses (I lost count after 20, but to be fair, J is a bassist!) and told Jake to hurry over. Since he lives in the dorms and probably doesn't get a lot of "real" food, I texted him and asked what he'd like to have for dinner. Me: Hey Jake, if you could pick anything in the world to eat for dinner, what would you choose? Don't say "whatever" either! I was going to call this post, "The One With The Terrible Photos" but I didn't want to turn you away before you could get an idea of how wonderful the food at BLD Restaurant is. So, I changed it to what you see above, and you'll simply have to close your eyes and imagine the lovely plates of food I'm going to tell you about, because clearly these photos do them no justice whatsoever. Trust me. Do you tweet? I have to admit, I'm slightly addicted to the social networking site, Twitter. It's a great way to converse (albeit in 140 characters or less!) with fellow food bloggers, chefs, hospitality publicists and other people who share my love of food and dining in our great city. Many restaurants have started to use Twitter to promote special happy hours or menu items, and BLD Restaurant took it one step further and created a weekly Twitter contest called Tweet-A-Dish. All you have to do is think of what you'd like to eat for dinner and tweet it at @BLDchefD. If Chef Diana Stavaridish chooses your idea, she'll put it on the menu that Thursday night and you + 1 guest eat for free. Pretty cool, right? It's like owning your own restaurant and having an item placed on the menu especially for you. What do Kobe Bryant and you have in common? You get a customized dish at a cool, Los Angeles restaurant on the menu. Ok, I think you get the idea. If you've ever dined at a Japanese restaurant, you've probably had a miso-glazed fish of some sort..most likely miso-glazed cod. It's ubiquitous on most Japanese or sushi restaurant menus, and I really think it's because it is just plain delicious. 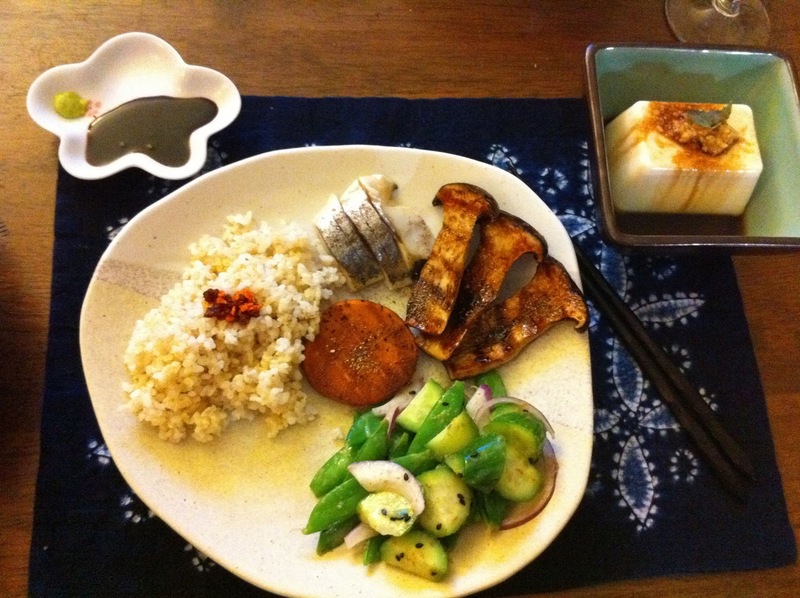 The dish is also very easy to prepare and uses ingredients found in most Japanese kitchens, so you can see why it's a regular on so many menus. Now it can be a regular in your household too! Happy New Year everyone! 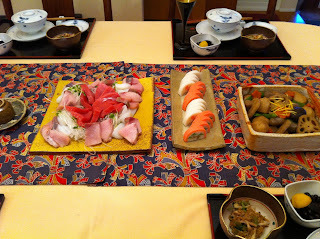 It's a rainy day here in Los Angeles on the 2nd day of 2011, so I thought I'd take the time to post some pics from our annual Japanese New Year meal that my parents have at their house and J looks forward to for about 12 months. We all do, because it's tradition, and happily for a family of food lovers, it's awesome to sit and eat many different kinds of Japanese goodies that make up the osechi meal. Although my mom's version isn't 100% osechi, the meal contains many of the dishes that make up the spread of traditional Japanese New Years foods.